Newton Health Care Center is a 65-bed skilled nursing and rehabilitation facility that offers a full spectrum of post-hospitalization care including TruRehab therapy services, short-term skilled care, and long-term care. We are conveniently located approximately 4 miles North of I-80. Our facility is close to the new Iowa Speedway, Hotels, and fine dining, Maytag Water Park, and numerous historical sites. It is our goal to meet the needs of each resident while maintaining the privacy, dignity, and integrity of each resident. 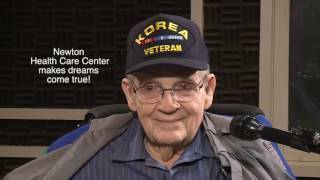 That’s why our philosophy at Newton Health Care Center is “Residents First”. This philosophy affects everything we do; from caring for our residents to the manner in which we conduct the business and operations of our company. We are a privately owned skilled nursing facility that offers a full spectrum of care including rehabilitation, short term skilled care and long term care. We provide 24-hour medical care and support services to our residents. 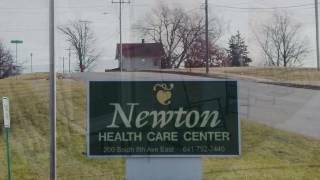 I want to thank the staff at Newton Health Care Center for their professional care, and sincere concern for me and my family. The staff, rehab, beautiful room, food and clean environment was beyond anything I could have hoped for. Thank you. Working with our TruRehab therapy team made all the difference for me. I was so out of balance when I first came and I didn't have any strength. They worked with me to help me improve so much and they made it fun instead of making it feel like work. Everyone seemed to do the right thing at the right time. This was so new to me and everyone helped guide me through it. It was the combination of an active TRUREHAB therapy rehabilitation program, excellent nursing care, and having a variety of activities to participate in that made rehab stay so enjoyable. The staff took great care of me. They took the time to ask me about my preferences for my daily routines and made sure I got up at the certain time of day that I wanted and always came to take me out of the dining room right away, so I didn't have to sit too long. I really appreciated how they met my individual needs.